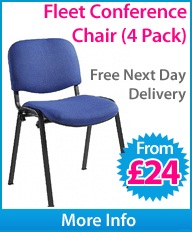 Welcome to Best Buy - Office Chairs, the UK's #1 office chairs online retailer! 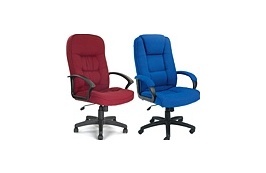 Best Buy - Office Chairs is the best place to buy office chairs with thousands of chairs in stock and with friendly sales staff only a phone call, an email or a click away using our live chat service you are sure to find the right office chairs to suit your needs, budget and taste. 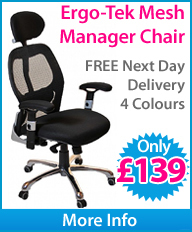 Our Best Sellers Range offers the UK's best selling office chairs at simply unbeatable prices. 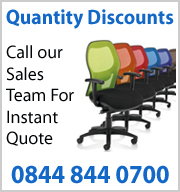 If you need a large quantity of office chairs, please call our expert sales team for advice and our best prices! 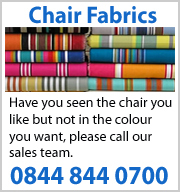 If you need help selecting your office chairs, please call our sales team on 0844 844 0700, email or use our instant live help messenger. 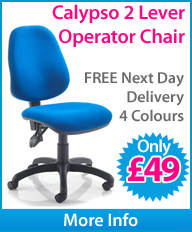 Need Office Chairs in a Hurry? 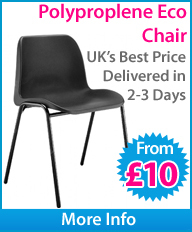 1000's of chairs in stock! HUGE Range to Suit All Budgets! 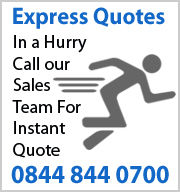 Discount Prices & Fast FREE Delivery! Massive Savings to be Made! From Chrome Bases to Linking Clips! 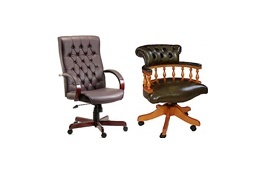 How to choose the right Office Furniture.  Are you Exhausted and tired of search countless websites are your Eyes gritty from lack of sleep? After days or weeks of browsing on the net for the “perfect office” that suits your business needs and budget, you’ve finally found the one! 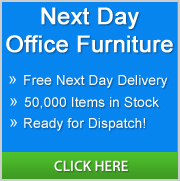 You’re now ready to buy your furniture to go with your new office. It is common sense to buy furniture proportionate in size to your office space. Bringing bulky ones will consume a huge chunk of your office. With the cramped space, you and your employees won’t be able to freely move around. 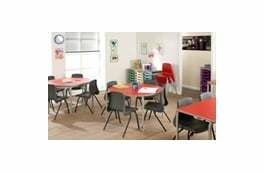 Firstly, know the dimensions of your office and from there, Most office furniture suppliers with offer a space planning service which will help in the planning for your new office or for maximising your existing office in order to maximise your space, a certain way can also help make your office look more spacious. The bottom line is to provide your office with the right furniture and remember to leave enough room for your team to be comfortable in. Financing start-ups is not easy. Every penny spent is an investment. You must show to your investors that you’re wisely spending the money entrusted to you. Thus, before buying any furniture, consider the cost. How much money will you spend on a particular desk or chair? How many will you buy? Determining your budget beforehand will help you narrow down your choices without compromising quality. 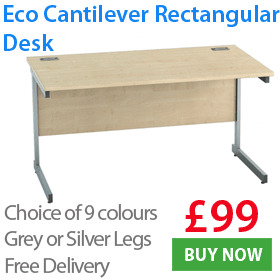 It is also wise to recycle your existing furniture to see if you can utilise in another part of the office. All your employees will be sitting and working most of the day, so providing them a comfortable chair and desk is a must. Nowadays, ergonomic chairs and desks become a trend for they make working easier, as supported by health studies. 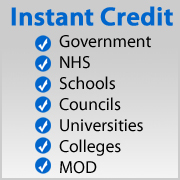 With lots to choose from these products can be bought at an affordable price. Aside from chairs and desks, you can also buy other furniture and style your interior depending on your business type. Are you aiming for a cafe-like atmosphere where employees can easily communicate and collaborate with each other? Buy a huge table and a few chairs. Are you going for a formal feel with cubicles so that they can focus? Buy a desk with cubicle-dividers. Whatever your plans are, keep in mind that your choice should make your office a conducive environment for work. The next thing to consider is flexibility and functionality of the furniture you are looking to buy. Existing furniture that was purchased the last time you did an office refurbishment might now not be practical as computers and Pcs have now been made more streamline and you now might not need the desk the same size as before, Technology has provided us with smaller flat monitors compared to the large bulky ones we use too use. Does your desk have storage for files? Provided you need to keep these, as most companies are now paper free, and all documents are stored on Servers or Clouds as they are now called. Furniture with multiple functionalities is always a better choice. When you balance functionality with low cost. 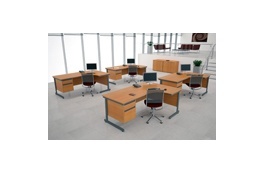 Purchase the kind of furniture that can contribute to the beauty of your office. Good office design lightens up the mood, eases stress, and increases productivity. Furthermore, don’t choose furniture just because you like its colour or design. You must choose one that goes with your brand or your office personality. Your office furniture must transcend the aesthetic and comfort value it provides; it must also reflect your company’s identity and culture. The 3 Basic Furniture items all business will need. 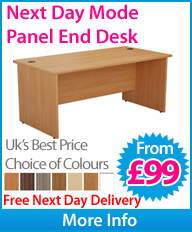 When choosing your office desk, there’s a lot of choice when it comes to shapes and configurations. Think about your available space and pick something to suit your chosen layout and room. Corner desk Designed to fit into the corner of the room, corner desks provide a good balance of working space. Wave desk Wave desks are large desks with one wider side. Originally designed to house chunky CRT monitors, they provide plenty of work space, but are too large for the majority of small office applications. Cantilever desk Cantilever desks are designed to be modular. They share components, like legs and beams, and can be reconfigured and extended through the addition of more components. Generally, bench desks are better for large, open plan offices. Bench desk Bench desks are designed to be modular. They share components, like legs and beams, and can be reconfigured and extended through the addition of more components. Generally, bench desks are better for large, open plan offices. If you’re short on space, then choosing a desk with built-in storage may be the best space-saving solution. The first thing to look for, and thankfully found in most chairs, is a height adjustable seat. 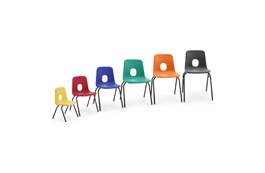 Not every user of a chair will be the same height, so the manufacturers must make allowances for this to enable people of all sizes to use the same product. The most ergonomically sound position is to be able to sit with your feet flat on the ground (without compressing your thighs which would reduce blood flow to your legs). It seems too obvious to even point out, but not all office chairs swivel. Those with static chairs do not need to move in their work so such chairs are suited to them, however if you do move even just to reach things it is essential your chair can swivel so you are not twisting, and therefore damaging, your back! An adjustable backrest paired with lumbar support is essential if a chair is to be truly ergonomically correct. Adjusting the backrest allows the user to relieve any pressure on their upper back by adapting to their posture, which in turn reduces stress being exerted on their muscles and vertebrae. Good lumbar support helps keep the spine in its naturally curved ‘S’ shape, ensuring the muscles surrounding the spine are not overworked. The seat part of the chair should be adequately padded in order to offer support, this also applies to arm rests and the back of the chair (unless a mesh backed chair, of course), the padding should be firm enough that your weight is held by the chair but not so hard that you can feel the parts of the chair underneath you which could inflict damage on the base of your spine. Armrests could be considered an unnecessary addition to an office chair; however, they are vital in avoiding straining the neck. Adjustable armrests must be fixed at the perfect height (and, if also adjustable, width), ensuring that elbows are perpendicular to the supports. Armrests that are too high or low could cause serious problems with your neck and spine. 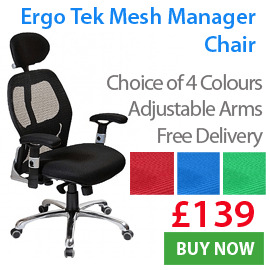 You also need to consider how long you will be spending in your new chair, the longer you are spent sitting in it the more adjustable features you will require- and if you are going to be using your chair for long periods of time then lumbar support is a necessity. 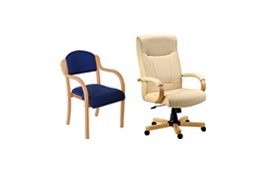 Each chair on our website is accompanied by comprehensive descriptions and specifications to assist you in making your decision whilst bearing in mind the points above. One of the key things you’re going to have to decide on is the material your furniture is made from. Different materials all have different advantages and disadvantages in terms of usability, durability, style and price. As the name suggests, solid wood furniture is made from real wood. It looks natural and unique but tends to be heavier and more expensive than other wood effect furniture. This finish features a thin layer of real wood on top of a composite or synthetic construction, providing the look and feel of solid timber, in a lighter, more cost-effective package. This is furniture made from synthetic materials, but with the look of wood. Lightweight and easy to clean, it provides an affordable solution, but may not last as well as real wood. 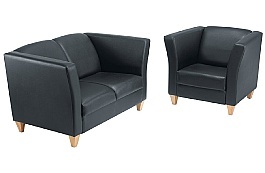 A premium, luxurious finish found on higher end executive chairs. Leather does require careful cleaning and some maintenance to keep it looking its best. Leather effect is a synthetic material that’s designed to look and feel like real leather, at a fraction of the price. Modern and contemporary, metal furniture is stylish and durable, and complements glass very well. It tends to be lighter than solid wood furniture but will require regular cleaning to ensure that it continues to look its best. Glass desktops are a stylish solution for a home office. They look fantastic, but can be heavy, and do require regular cleaning. Standard wheels go backwards and forwards, while caster wheels are able to move in any direction. 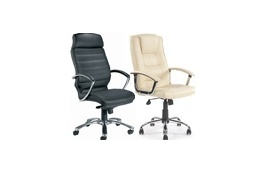 These are usually included on most wheeled office chairs, with the option to have hard or soft casters. Choose hard casters for carpeted floors and soft casters for hard wood floors. 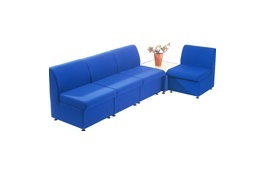 This is to do with the way the furniture suits the individual to create a safe, comfortable working environment. 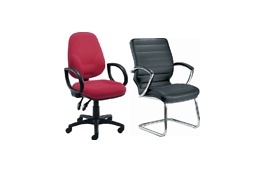 While it is primarily linked to office chairs, other furniture plays a part in ensuring the health of the employees. This refers to furniture that requires self-assembly when it arrives. It is easier to transport and should come with instructions so that it is not too difficult to make. 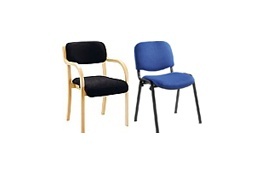 A gas-lift function allows a user to easily adjust the height of a chair via a useful lever. On a desk, the modesty panel is a thin section of wood placed underneath the main working area that is intended to shield the lower body from view.